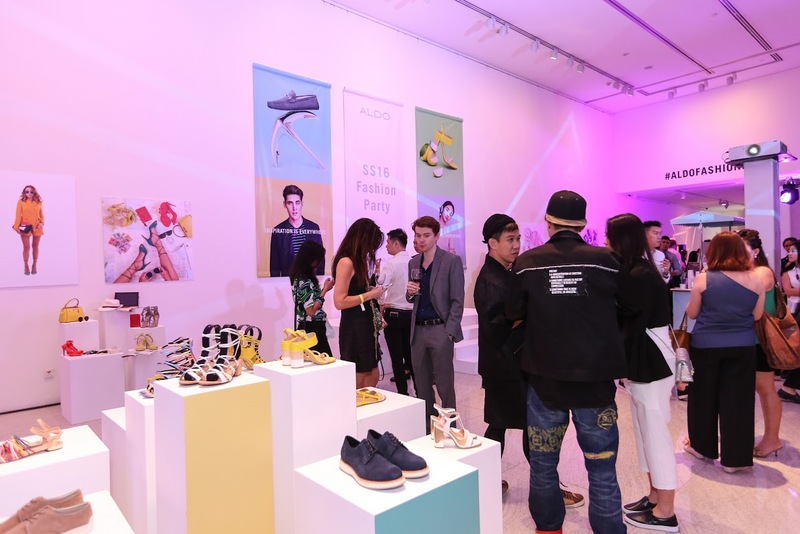 ALDO, an international leader in fashion footwear and accessories, held their Spring/Summer 2016 (SS16) Fashion Party on 21 April 2016. 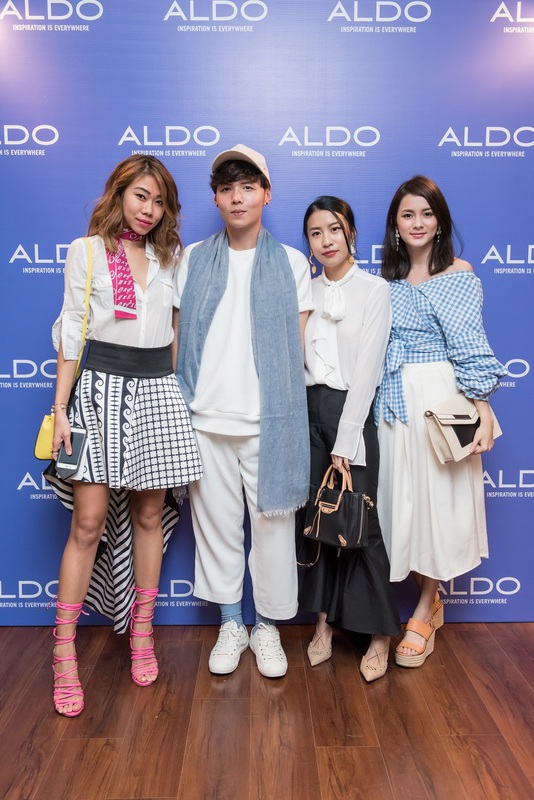 A crowd of trendsetters consisting of the city’s top fashion editors, industry insiders, and esteemed guests gathered at The Luxe Art Museum to view ALDO’s SS16 Collection while enjoying delicious treats. The evening had other surprises in store, including personal style presentations by four tastemakers, a flat lay photo competition, as well as keepsakes for all to take home. this season, presented in four different themes – Sunshine Yellow, Second Skin, Rainbow Splash, and Best Practice. 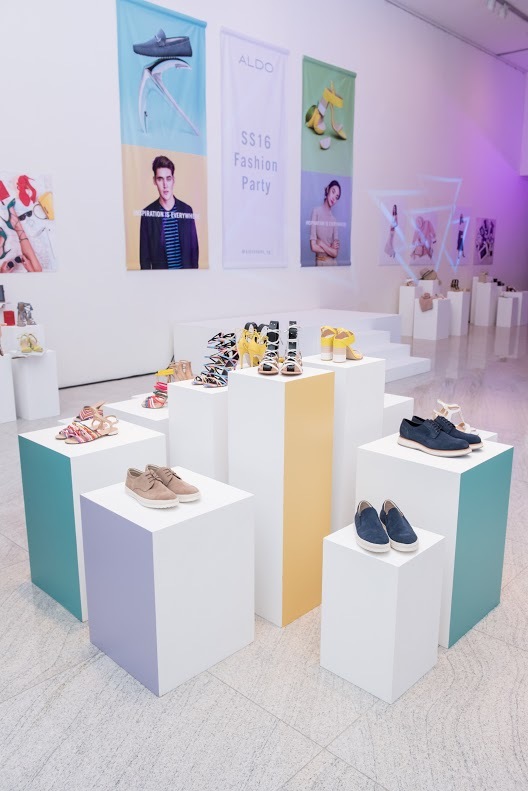 Models were dressed in white to represent the blank canvases that showcased the unique colours and patterns of ALDO’s SS16 Collection, which featured block-heeled sandals, neutral espadrilles, suede derbies, and preppy oxfords. 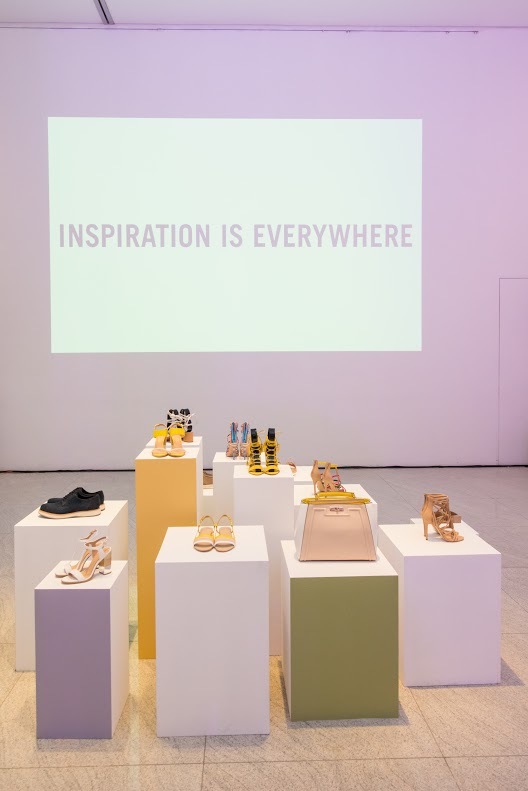 One of the key highlights of the SS16 Fashion Party was the interactive flat lay photo showcase by four fashion tastemakers, handpicked for their creative expression: Daryl Yow, fashion and lifestyle photographer, Jessica Tham, entrepreneur, Nellie Lim, social media creative, and Savina Chai, creative director. The SS16 Fashion Party was hosted by the energetic Sonia Chew, DJ of The Bright Side at 987FM, and the playlist was made by Linda Hao, guest DJ and fashion icon. ALDO SS16 Collection is now available at all ALDO stores with new arrivals on a weekly basis.